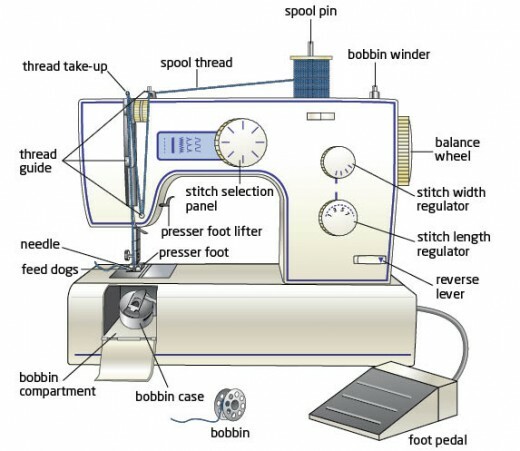 I finally took my sewing machine to the mechanic. After “thoroughly” cleaning it I noticed that the feed dogs wouldn’t raise for any reason whatsoever: not for sweet talk and not for icecream. (One of the reasons for opening it in the first-place was that the needle was biting into the throat plate and it was making a horrific sound). I managed to hack it and manually raise the feed dogs but I knew that wasn’t supposed to be like that and I continued reading and obsessing over the feed dogs, thinking that this must be extremely simple and I am just missing the screw/the lever/whatever to raise them. The very nice guy at the repair shop looked at it and concluded that there must be something broken inside if you can’t raise them manually. It was a moment of mixed feeling: happy that I wasn’t THAT simple not to fix it myself and sad to hear such a troubling piece of news. He than said he’d call me. And I am checking my phone every hour, checking the ringtone and my voicemail just in case he called and I didn’t hear it. Oh, the distress in waiting and not knowing.